Colorado’s dude ranches offer vacation experiences that range from upscale resort-like properties to rustic, working ranches where guests can take part in everyday chores like herding cattle or gathering fresh eggs. 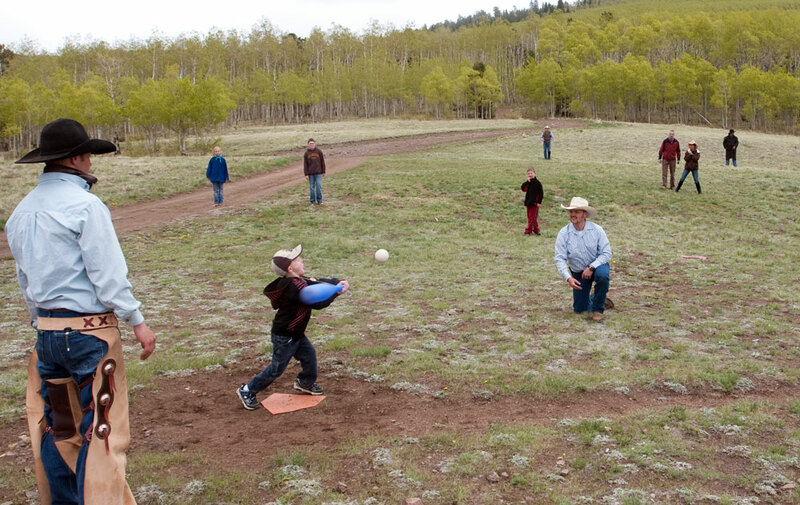 While Colorado's more than 30 dude ranches are all very different, you can count on them all being incredibly family friendly. There's something special about the down-home hospitality of the staff at dude ranches — by the end of your stay, you'll really feel like family. Dude ranches have activity-rich schedules for kids. While parents spend the morning enjoying a serene trail ride through aspen groves, kids are back at the ranch learning how to rope, feeding farm animals or making Western-themed crafts. In the afternoons everyone gathers for an activity and later sits down for an evening meal together. At many Colorado guest and dude ranches, a week's stay is the norm, and all guests arrive and depart on the same day. After all, sometimes it takes awhile to settle into the relaxed atmosphere. The time also allows visitors to bond with one another day after day, but exceptions are often made, so check with individual ranches about their programs. Guests can usually craft the trip to be exactly what they want it to be. 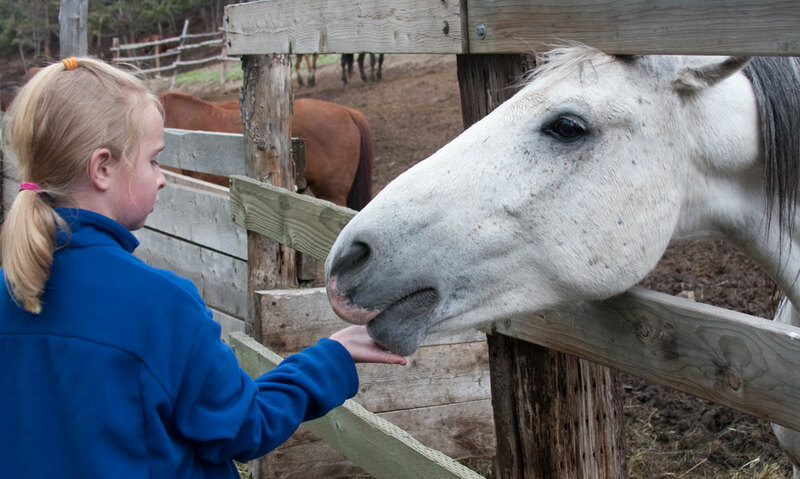 If someone doesn't feel like horseback riding one day, there are plenty of other things to do. With a whole family to please, that flexibility is heaven sent. Also, the stays are all-inclusive, from horseback riding lessons and group hikes to fishing excursions and field trips to town included in the price. No matter how many years pass from the heyday of the cowboy, horseback riding will always be a central offering to any Colorado dude ranch. But you don't have to be an expert rider to enjoy the horses — all the instruction riders of any experience level would need are provided by the ranch. Ride the picturesque trails, often under the shadow of the striking Rocky Mountains. 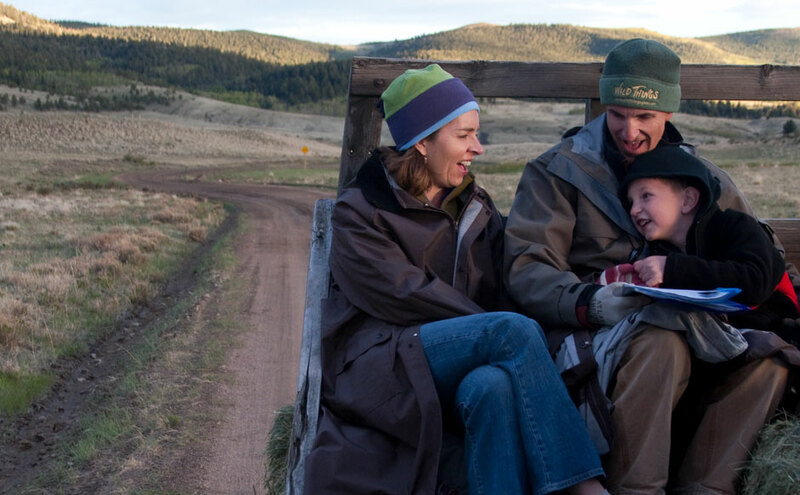 Explore the backcountry as a family and revel in your shared experiences. 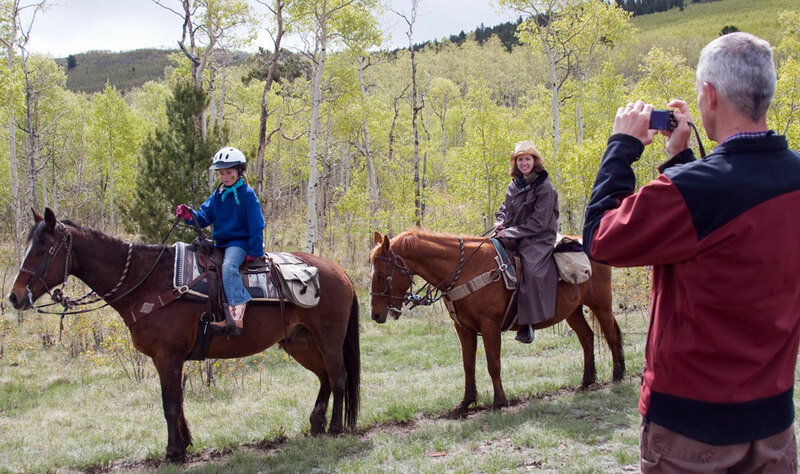 From guided trail rides led by expert wranglers to venturing on your own astride a steed, Colorado’s dude ranches give you the opportunity to experience the state’s remarkable beauty. Sure, the cowboys of yesteryear fished for their supper from time to time, but when you’re vacationing on a dude ranch, fishing takes on a whole new perspective. While angling for that hard-fighting trout, pause for a moment and take in the views of Colorado’s remarkable landscape. From archery, panning for gold and chuckwagon dinners to feeding the animals, throwing horseshoes and learning to rope and trapshoot, there's no shortage of unique activities for the little ones to experience. Everyone can participate in square dancing, cowboy poetry readings, hayrides, singalongs and — of course — s'mores around the fire. With all the activities and horseback riding, it's easy to work up an appetite. Generous meals are served daily, with menus crafted with families in mind — even those with picky eaters. 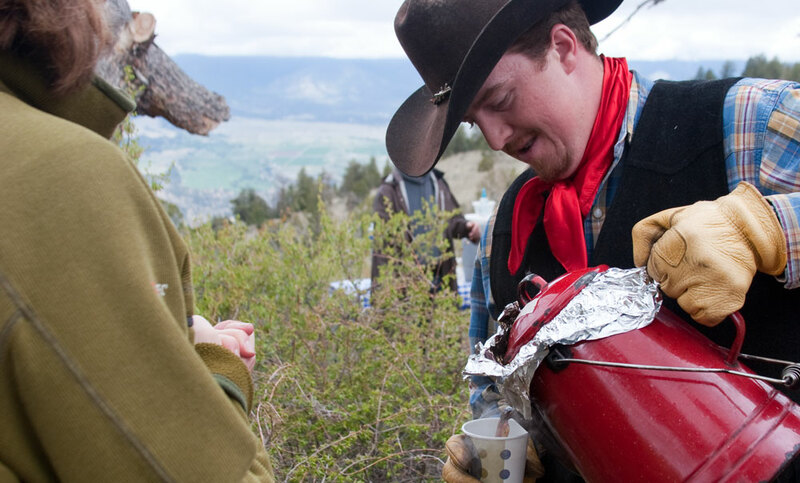 Often, ranches will offer guests the opportunity to camp overnight in the backcountry area near the ranch. A guide will help you pack out all the things you need for a comfortable night's stay — and might even come back to cook you breakfast before you emerge from your tent. Rest and relaxation is highly encouraged at Colorado's dude ranches. For quiet indoor play, there's generally plenty of puzzles and board games, books, DVDs and other ways to catch up on quiet after long rides or other activities. For more ideas and to search for your ideal Colorado dude ranch, visit Colorado Dude and Guest Ranch Association. And while it's clear Colorado dude ranches are great for families, their adults-only weeks are perfect for those who've left the kids at home and are looking for a little romance — check out Get a Sitter: Colorado Dude Ranches Without the Kids. See our Colorado dude and guest ranch listings.